Pioneers in the industry, we offer calcium carbonate from India. 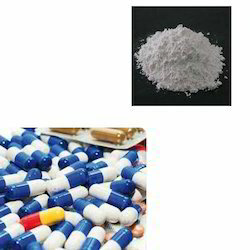 We offer our customers a range of Calcium Carbonate that is used in Pharmaceutical Industry. Our product have longer shelf life and precise composition which makes it highly demanding in medical and other industries. Our range is used in manufacturing tablets and antacid liquids. Looking for Calcium Carbonate ?